What are the best way to take the full backup of your Android, are you looking for the answer of the same question. If you have the rooted device, then there are so many application for rooted device which helps you to take the complete backup of your Android smartphone. But if you are on stock ROM or non-rooted device and don’t know how to do that or what are the best tools to take the backup of your Android SMS, Pictures, Mail, Files music and Apps. So today we let you know about How to take the full backup of your Android smartphone in proper way, to do this all you need a PC, a gmail account and some free android applications. 1. Backup contacts, system settings, apps, calendar, and e-mail in Google:- Yes you can do this with simple and easy steps. Just Go to Settings > Privacy, and make sure that “Back up my settings” and “Automatic restore” are checked off. Go to Settings > Accounts and sync, open your Gmail account, and check off all options. With these settings in place, your contacts, system settings, apps, calendar, and e-mail will be restored whenever you set up a new Android phone with that same Gmail account. So next time you can restore all your contacts, system settings, apps, calendar, and e-mail from your google account. 3. Drag and drop :- Back up photos from your Android the traditional way. Connect your phone to your computer via USB, set it in Disk Mode and locate the drive (on the desktop for Mac, in My Computer for Windows). Open the drive, find the DCIM folder, and drag the photos you’d like to back up onto your hard drive. 4. Backup Apps with Astro File manager :- With this Application Manager, you can pick the apps you want to backup. The protected apps are not selectable here. The apps will show up as APK files on your SD card. These can be loaded on an Android phone without the Market. 5. MyBackup Pro (Paid app):- Backup (with schedule option) to our online secure servers, or SD card, your Applications, Photos, Contacts, Call log, Browser Bookmarks, SMS (text messages), MMS, Calendar, System Settings, Home Screens (including shortcut positions), Alarms, Dictionary, Music Playlists, and more. 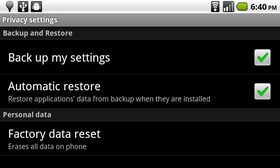 Restore your backups on your existing or new phone. 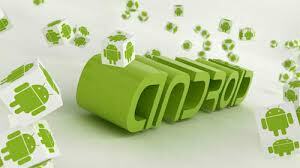 Looking for more Android Tips and Apps, Click here !